Been awhile since I’ve posted anything besides boring programming junk so here we go. 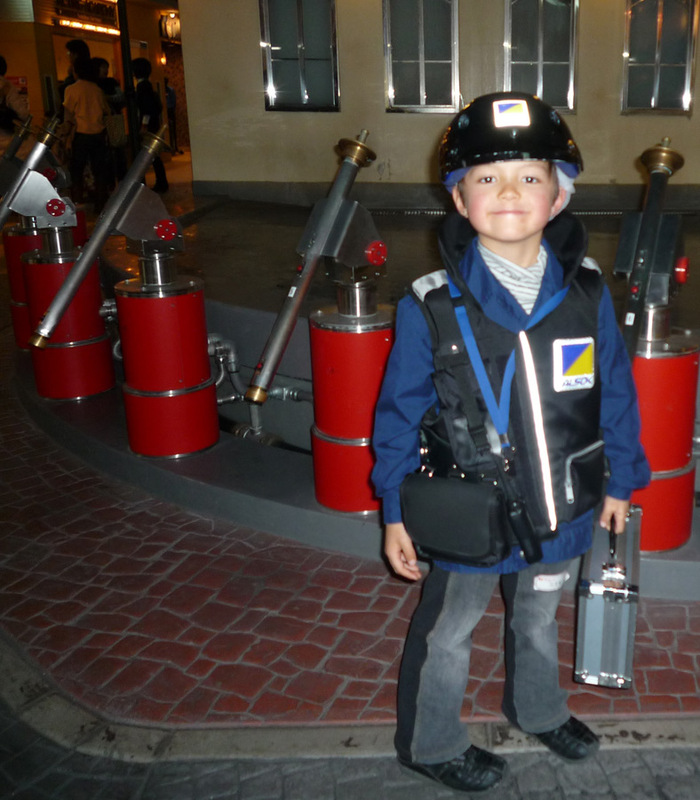 KidZania is an edutainment amusement park where kids can (sort of) learn and (sort of) do eighty different career paths. 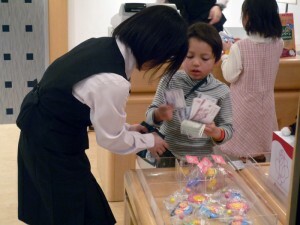 Each ‘career’ takes about half an hour to do and earns you “Kidzoes” to spend in the store. There are ten KidZania’s splattered across the world. This is the one in Koshien, Japan – there is also one in Tokyo. 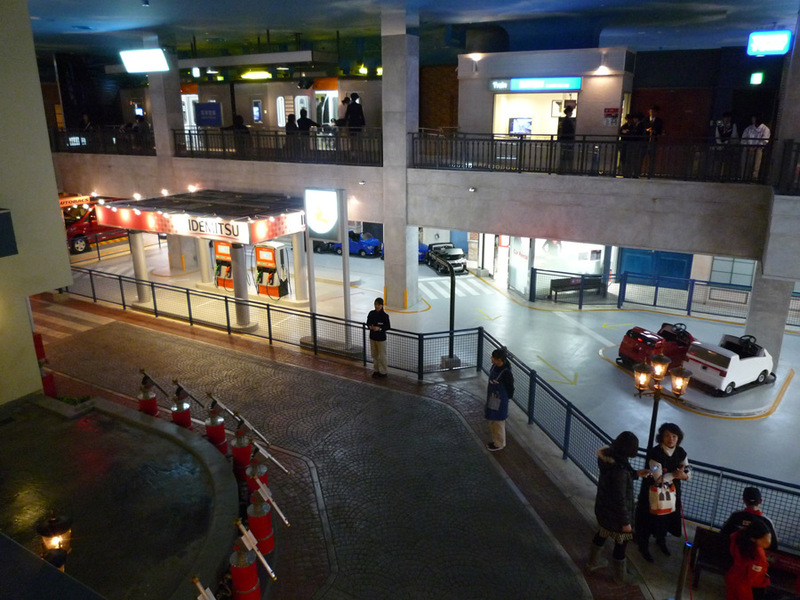 KidZania is tiny working indoor town. At exactly 4 PM, all the stores open for business! Cosmo chose package delivery as his first job. 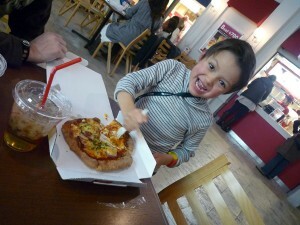 Many of the business in KidZania are real companies in Japan – this company, Kuro-Neko is sort of a Japanese FedEx. In the pic above he is receiving training for his job. 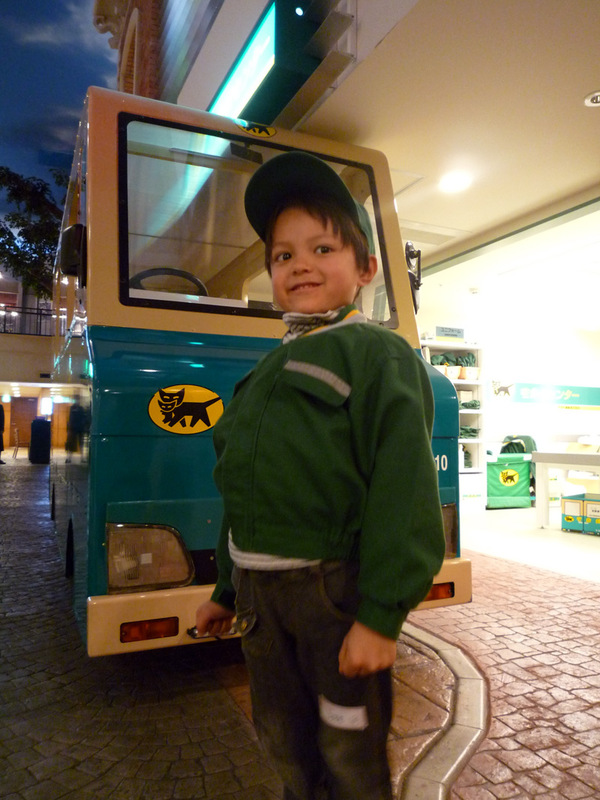 Parents can’t enter most buildings in KidZania, but everything has lots of windows so we get to snoop around and take pictures. Training complete, he prepares to do some work! He delivers and picks up packages from various other KidZania businesses and does some inventory work. At the end he receives 8 Kidzoes in pay. He goes to the KidZania bank, gets an account, and deposits his cash. There is a working ATM system. Here he learns to work at a Pizza place. The best part of the pizza career – you get to eat what you made! The bakery, candy maker, and sushi chef careers also feature making real food but he didn’t do those… There is no way to do everything in one day! Cosmo makes small chat while working as a gas station attendant. 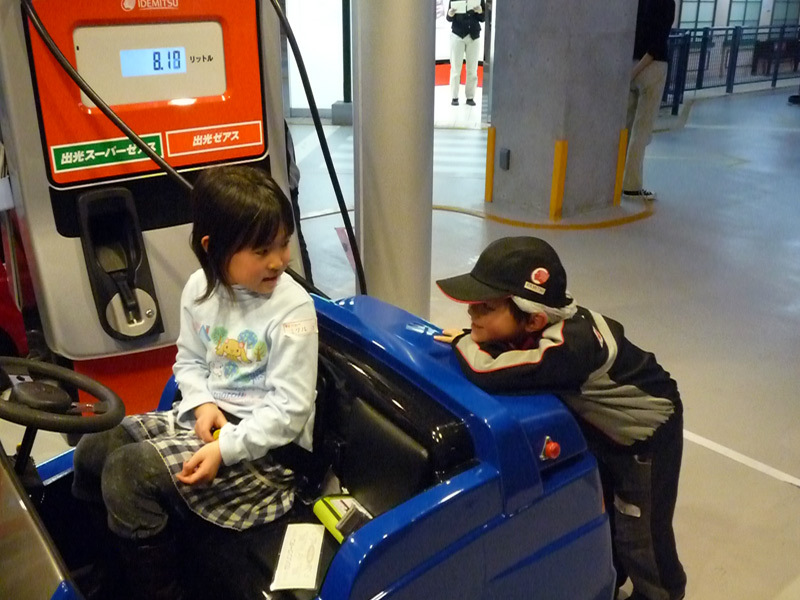 The girl driving the car has rented it from the Rent-a-car place – you can only do this if you’ve earned your KidZania license by going to driving school. One of the most popular careers – Fireman! After training, a building catches on fire and kids are driven to it. 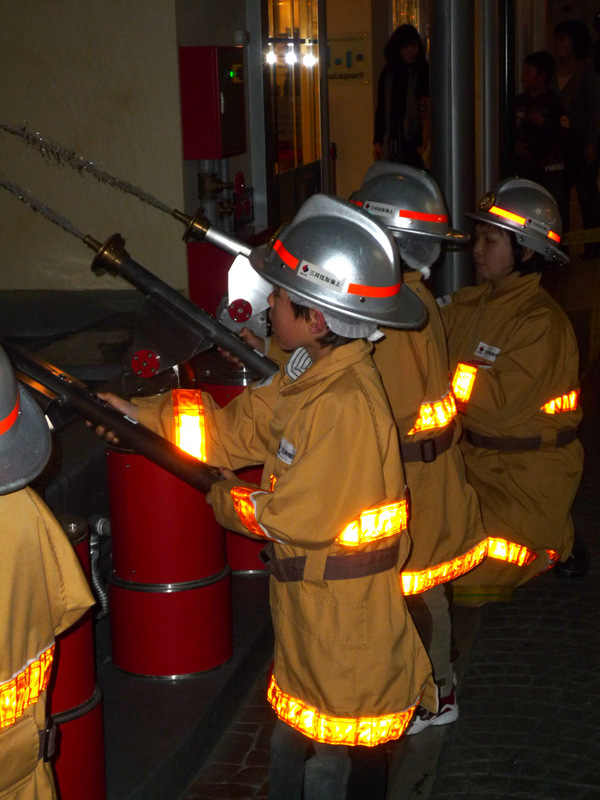 The vehicles in KidZania move slightly slower than a normal walking pace, but hey, it’s a firetruck with a siren! Maternity ward nurse! There was also a dentist career. Cosmo works security. We caught him transporting cash to the bank. They really let them go off alone to do their ‘missions’. The pilot career. Nearby, those that chose the flight attendant career path were being trained to give safety instructions. At the end of a great day, completely worn out physically and emotionally the holy land awaited! He entered “The store” to see what he could buy with his Kidzoes. 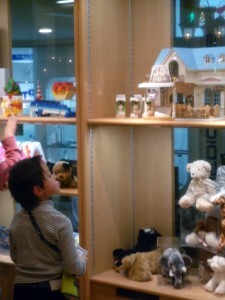 We watched through the glass as he wandered around looking at the price tags. I saw him tear up as he realized everything good was just way too expensive for him. He finally decided on a crappy little plastic thing, the best he could afford. Welcome to the real world, kid! Very cool and worth doing at least once. WWW: Kidzania Japan website Note: You need to make reservations. This entry was posted in Japan, Life on February 18, 2010 by Seth. Wow… that actual doesn’t sound too pricey for what they’re offering. Never heard of such a crazy place. Awesome blog post, it sounds like a neat place. That would be a good thing for the states somewhere to teach responsibility in a fun way to our children, how to make a :: gasp :: “Job” fun, manage money and budget what you do get. 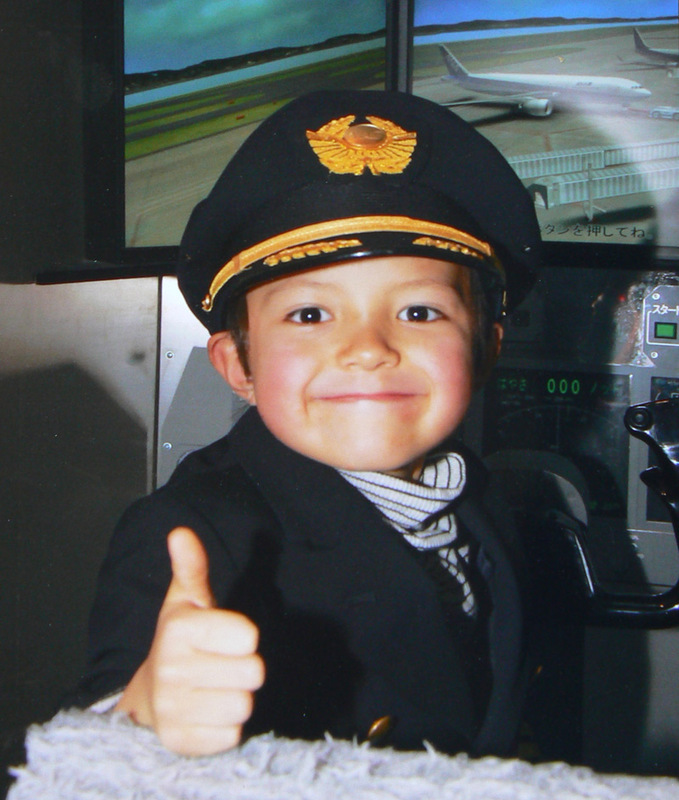 Introducing kids to various career opportunities is a good thing. Child encouragement is ALWAYS a good thing. YAY!